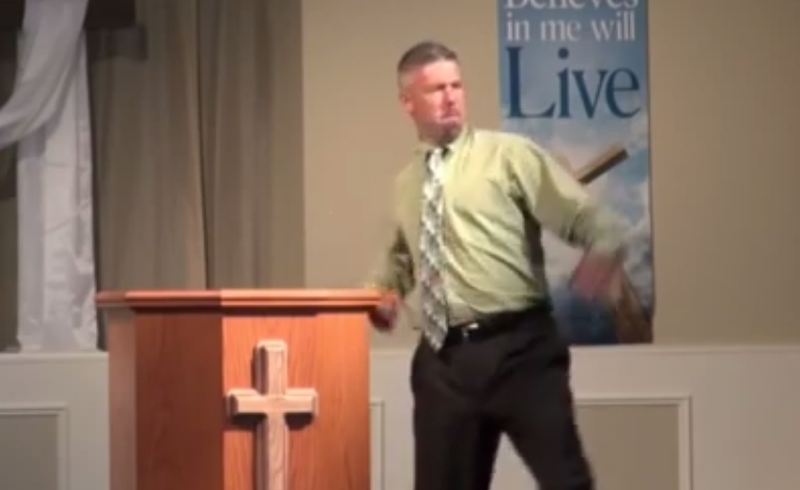 In this YouTube viral, video a pastor recounts a time when he allegedly hit a minor. In his own words ".... And I walked over to him and I went BAMB! ... I punched in the chest as hard as I... I crumpled the kid ... I just crumpled him". There are many body language tells here - the following is a partial nonverbal analysis of some key moments of his own telling of this event. 0:31 Inward Lip Roll (ILR). An inward lip roll is seen during moments when there is an attempt to suppress an emotion that is far from emotional baseline. Many times it's anger, although it can be sadness, etc. or even joy-happiness. This is a close up of the above frame. The ILR can also be seen during moments of physical activity which require an increase focusing of thought. 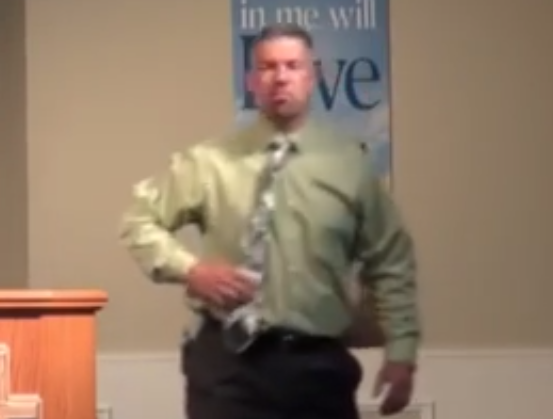 Here the pastor is reenacting his alleged physical assault on another person. 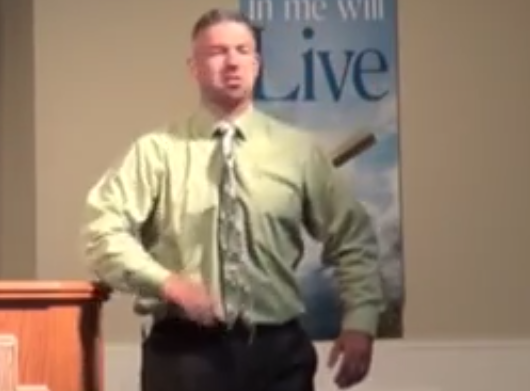 Just prior to this moment he described the individual as "... and we were outside one day, a youth group - and ah he was just, just trying [repeated closed fist punching gesture 0:22-0:24] to push my buttons - just kinda not taking the Lord serious" [deep inhaling breath at 0:28]. 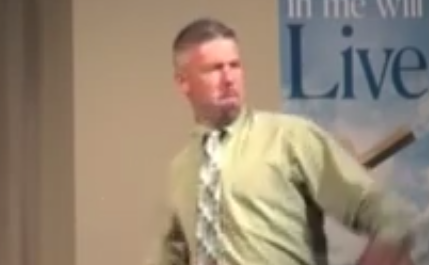 In this context his nonverbal behavior (inward lip roll) in his re-telling indicates he is re-living his anger experienced during the original event. He is holding onto his anger. Those who easily and/or chronically display contempt portend what other behaviors? 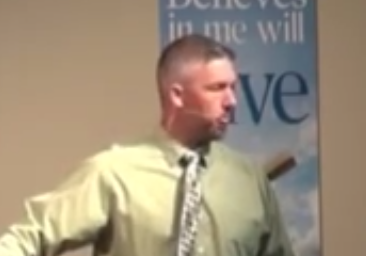 There certainly may be times when a pastor or anyone may fabricate a story to dramatically illustrate a message - and while this is a possibility here, this cluster of nonverbal signals strongly suggests the events occurred as he described them. 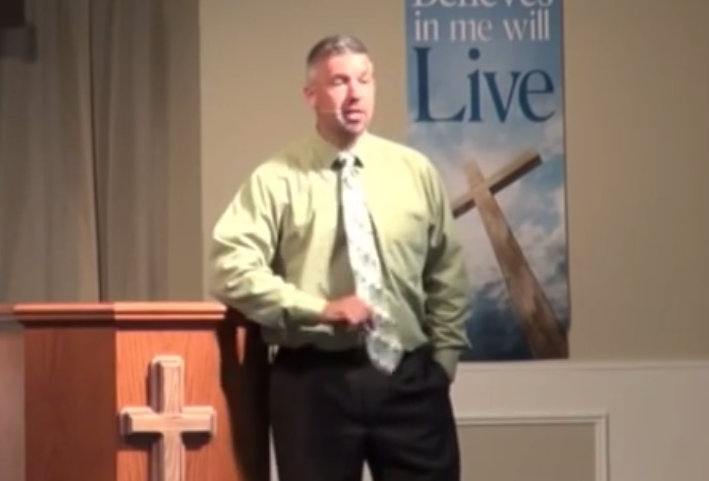 His need to tell this event is very similar psychologically to a criminal returning to the scene of a crime. Nonverbal Communication Analysis No. 2725: Ted Nugent: Calls Barack Obama, "a Subhuman Mongrel"